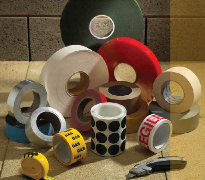 Our extensive product range comprises in-house manufactured tapes under the highly regarded and well establised Empire brand. Our warehouse and distribution facility utilises state of the art barcode stock rotation and order collation to ensure speed and accuracy for all orders large or small. Our commitment to maintain large stocks ensures the highest order fulfillment levels.